Spider-Man: Into the Spider-Verse an upcoming animated movie from Sony pictures follows Miles Morales as he travels through parallel dimensions while teaming up with different incarnations to stop a threat to reality. 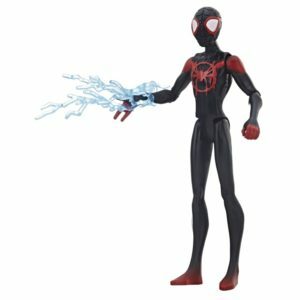 For the upcoming movie Hasbro unveiled this week their figures and roleplay which will be available in the fall ahead of the movie. 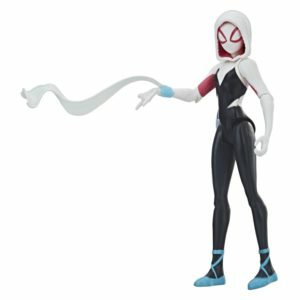 Check out all the revealed products below! 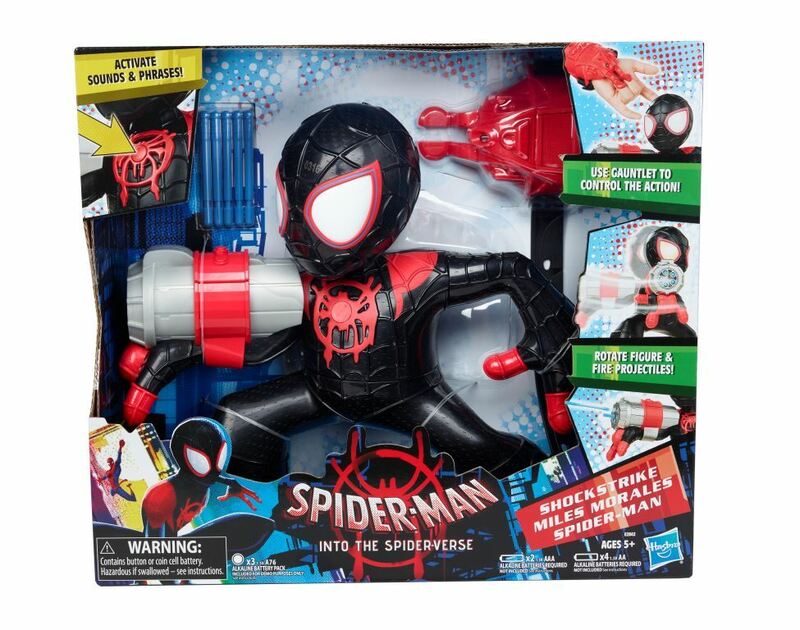 SPIDER-MAN and his team are back to take on evil and help save the world! 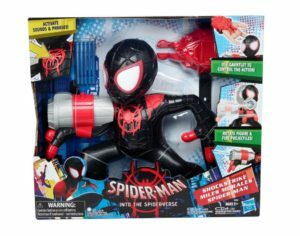 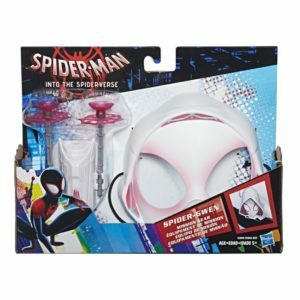 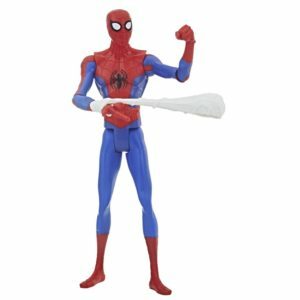 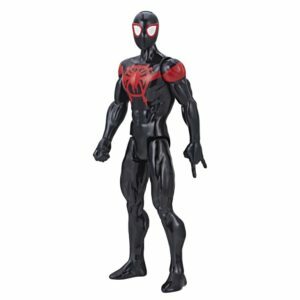 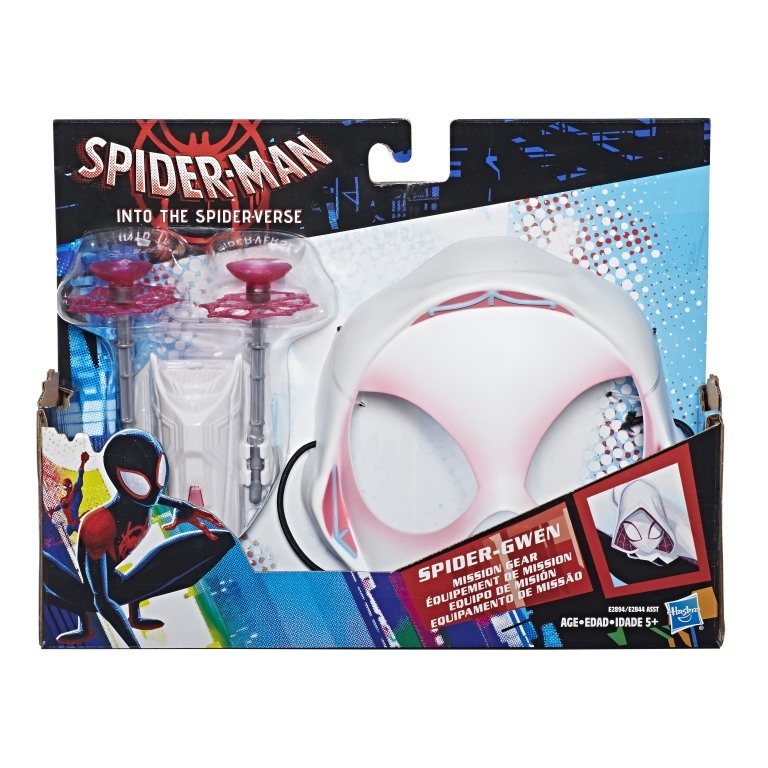 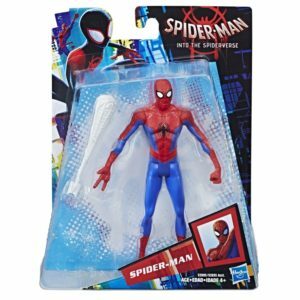 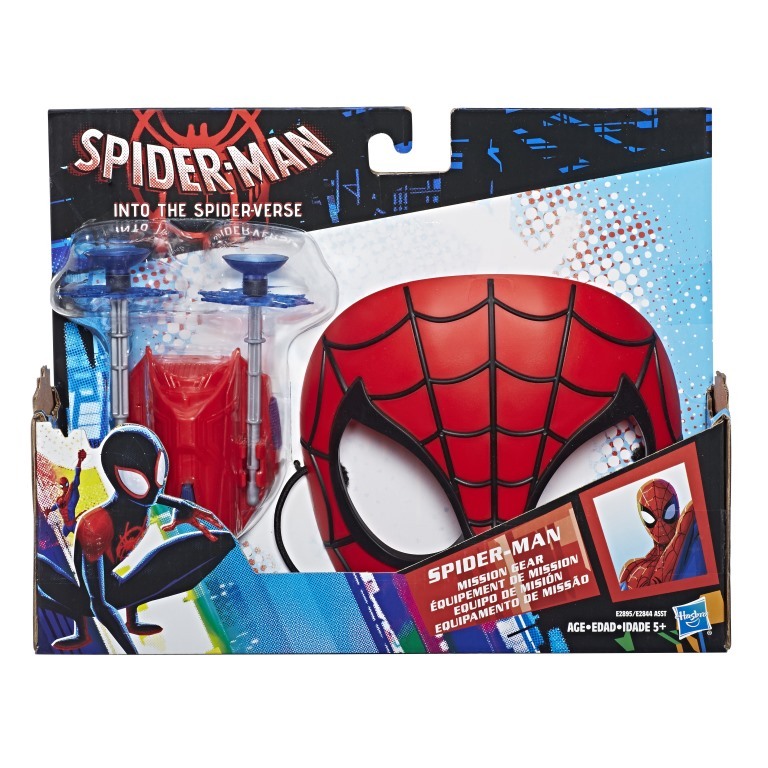 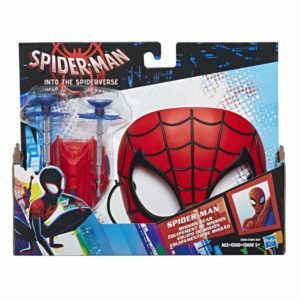 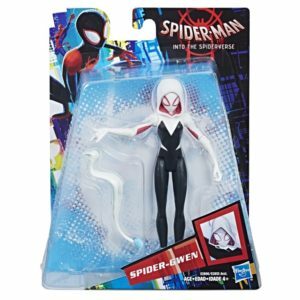 This web-tastic assortment features 6-inch scale figures with seven points of articulation and an accessory. 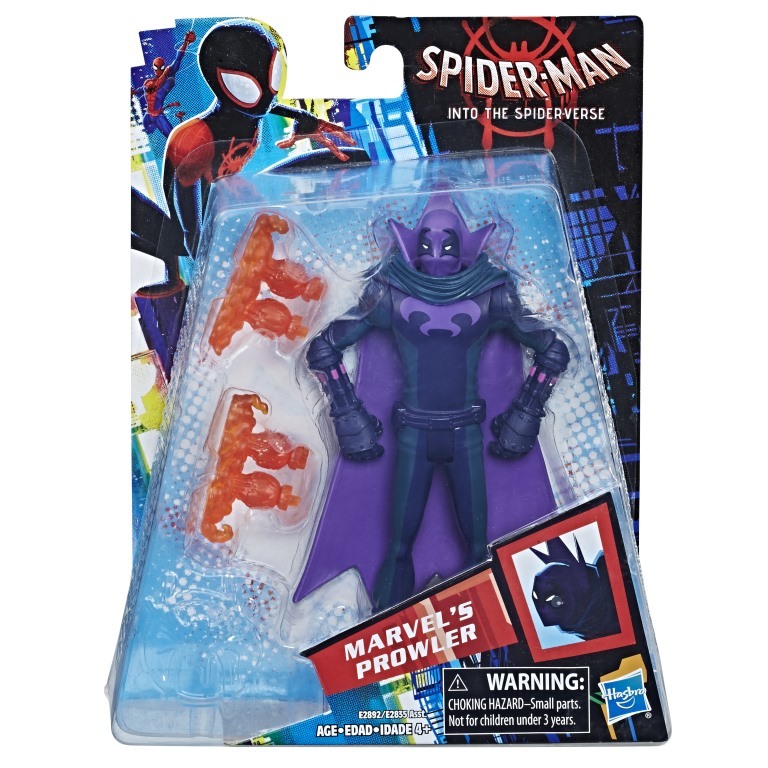 Series includes SPIDER-GWEN, MILES MORALES, SPIDER-MAN, and MARVEL’S PROWLER. 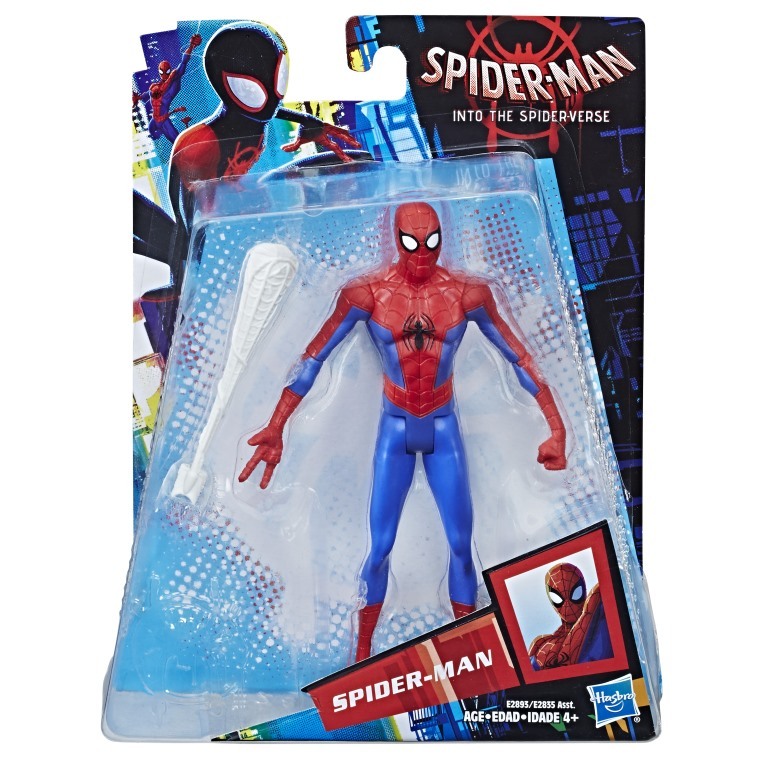 Imagine saving the day like the web-slinging heroes from SPIDER-MAN: INTO THE SPIDER-VERSE! 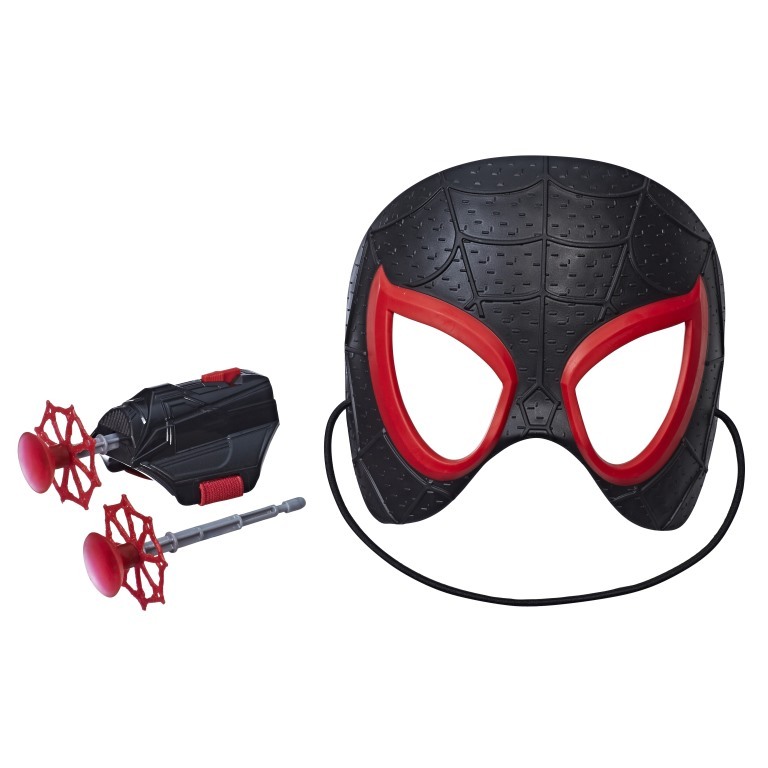 This 6-inch scale, movie-inspired playset features multiple areas of play and action-packed features that let kids imagine taking down criminals like their favorite web-slingers. 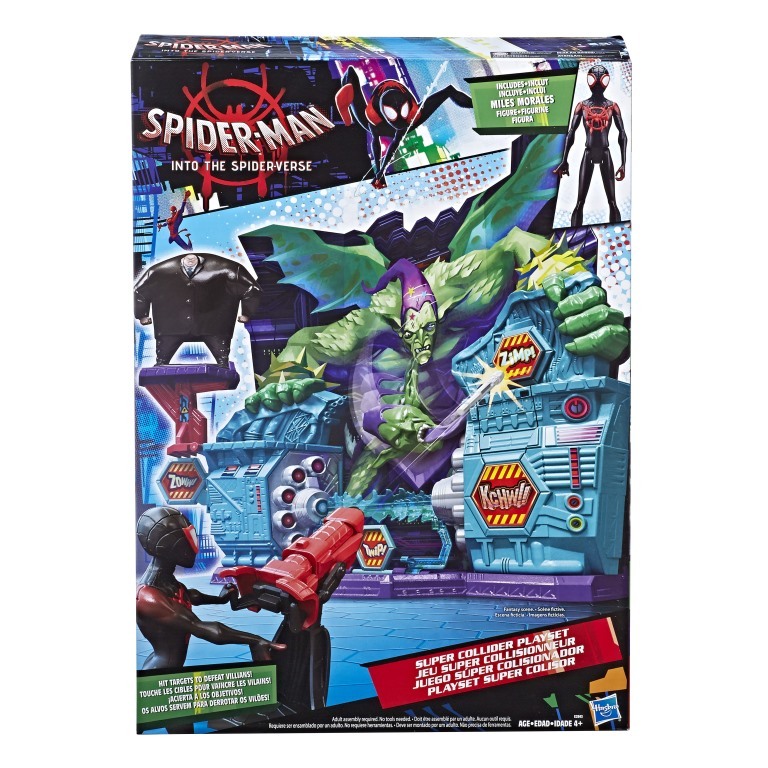 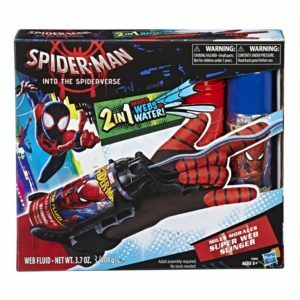 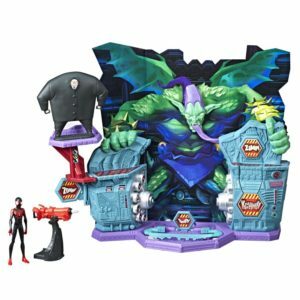 Comes with targets and a projectile launcher so that kids can blast away the toughest enemies including a KING PIN cutout and GREEN GOBLIN action-packed backdrop. 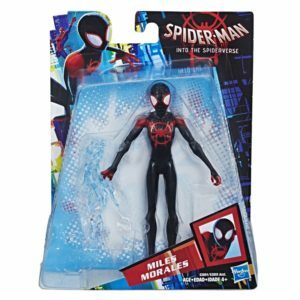 Includes 6-inch MILES MORALES figure. 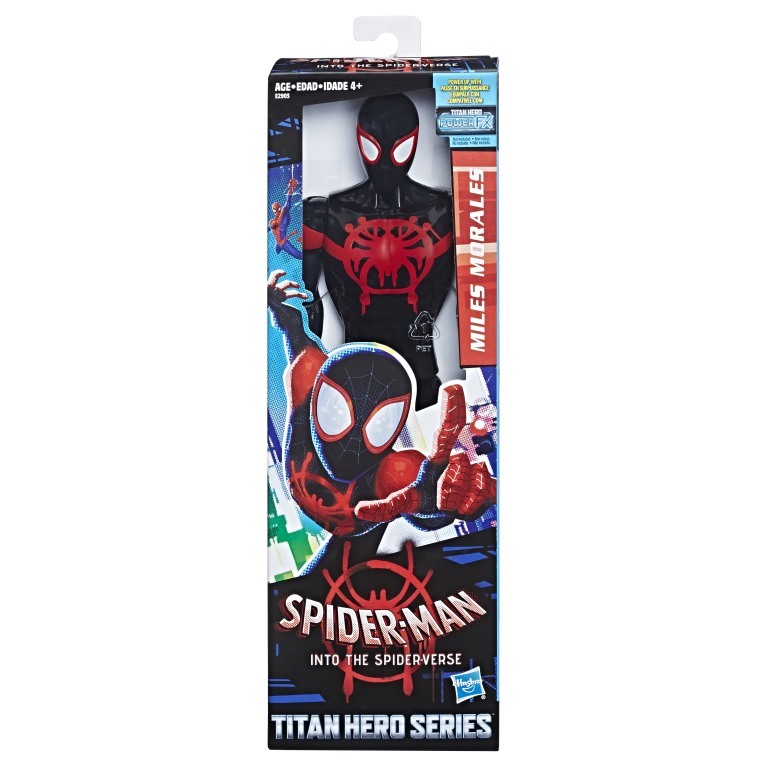 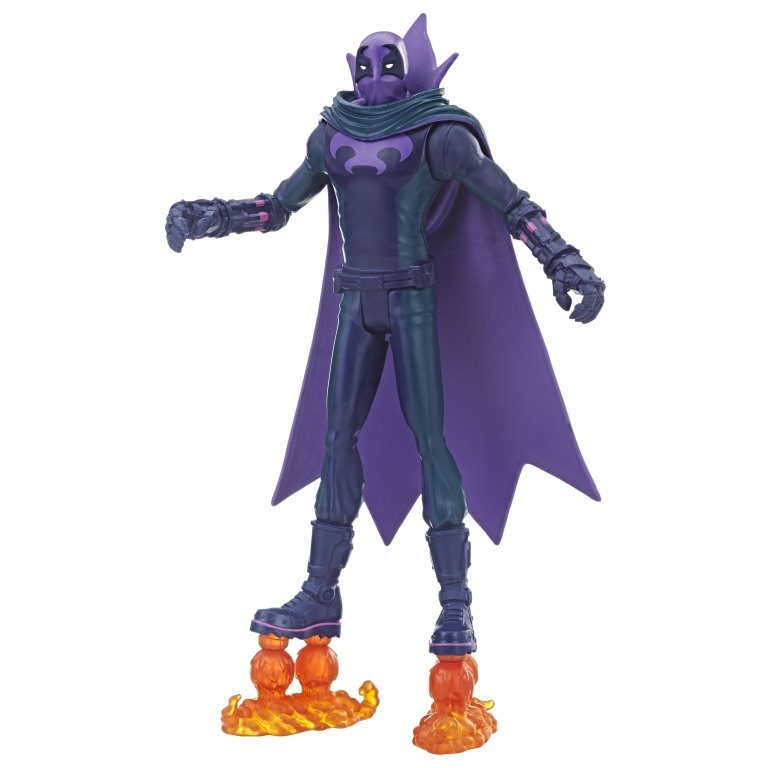 Swing into more over-sized adventures with the kid-favorite TITAN HERO SERIES line! This 12-inch MILES MORALES figure features five points of articulation and design inspired by SPIDER-MAN: INTO THE SPIDER-VERSE. 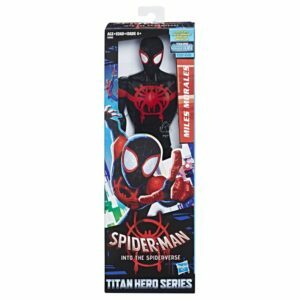 Activate web-slinging sound effects with the TITAN HERO SERIES Power Pack sold separately with Titan Hero Power FX figures. Team up with MILES MORALES to blast into action and protect the city! 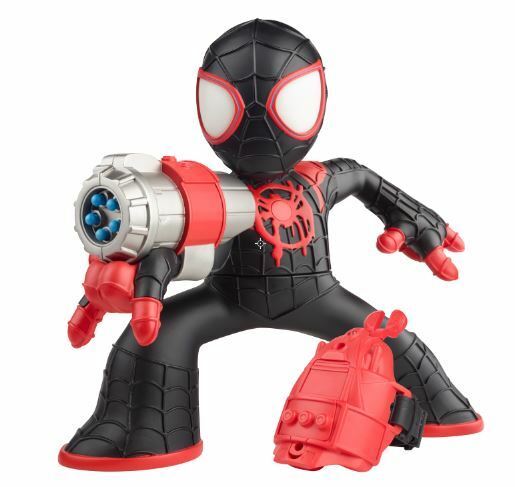 Included wrist gauntlet controls the SHOCK STRIKE figure’s movements or blast web missiles. 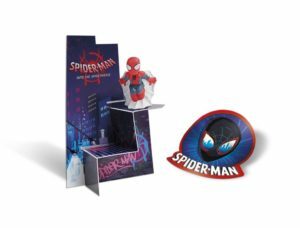 Count down to the release of SPIDER-MAN: INTO THE SPIDER-VERSE with a countdown collection packed with Spider-Man figures, stickers, and surprises! Includes 14 figures, 4 stickers and 2 cardboard builds. 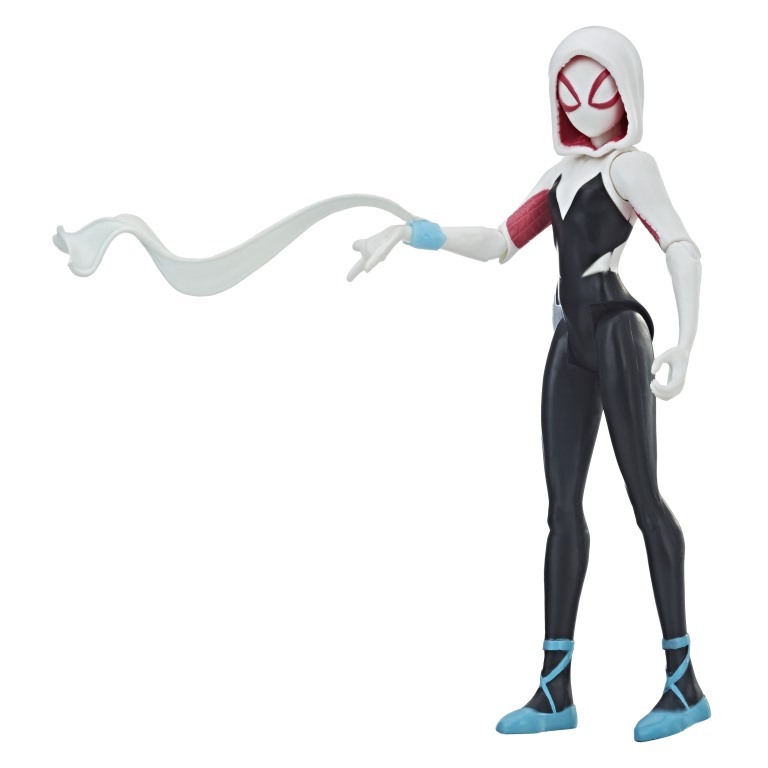 Choose from new heroes in SPIDER-MAN: INTO THE SPIDER-VERSE including SPIDER-MAN, SPIDER-GWEN, and MILES MORALES. 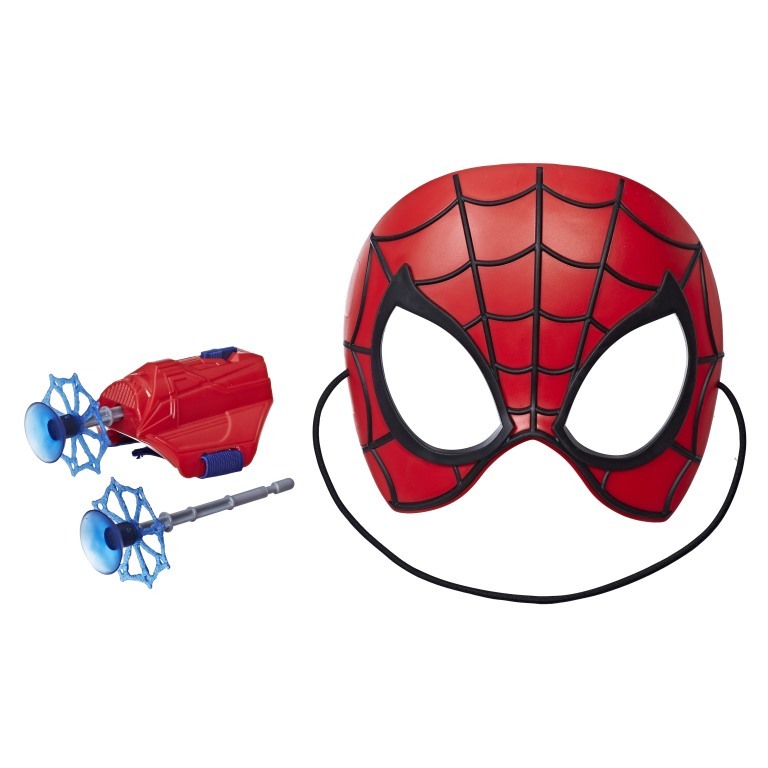 Includes a half mask and web blaster with two projectiles. 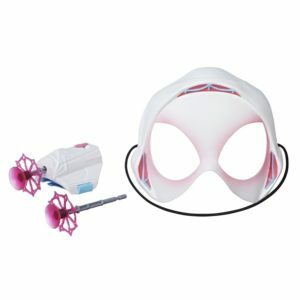 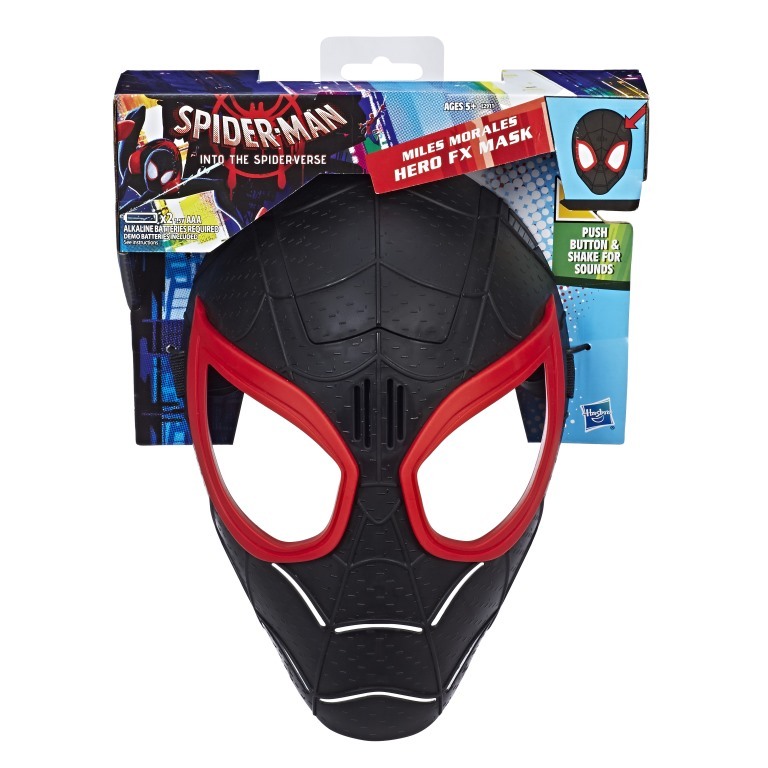 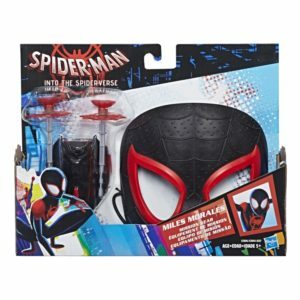 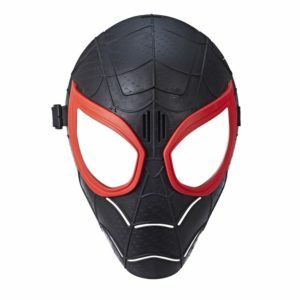 Suit up like MILES MORALES with the motion-activated HERO FX MASK! 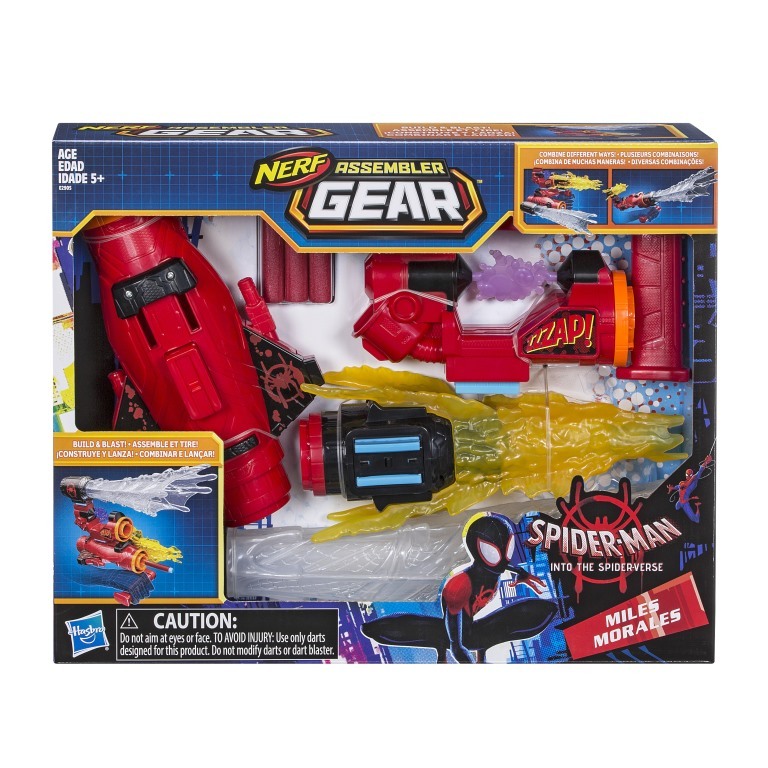 Features motion-activated web-slinger sound effects like the ones heard in SPIDER-MAN: INTO THE SPIDER-VERSE. 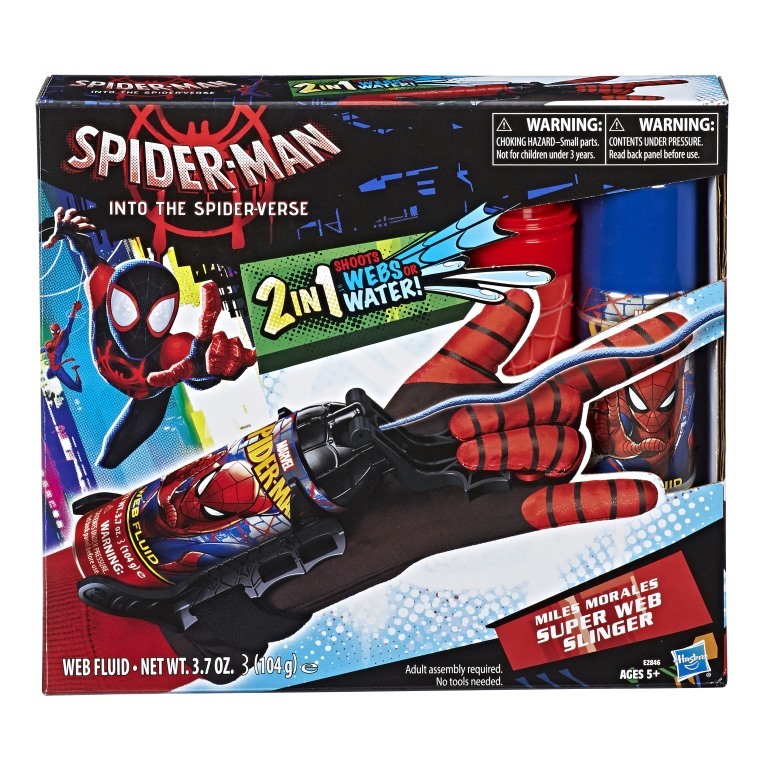 Blast webs like MILES MORALES with the SUPER WEB SLINGER! 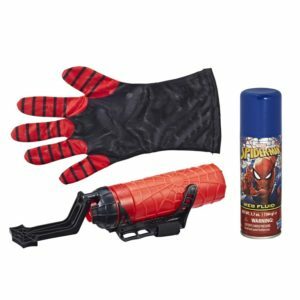 Load the can of web fluid and sling webs like the hero in SPIDER-MAN: INTO THE SPIDER-VERSE. 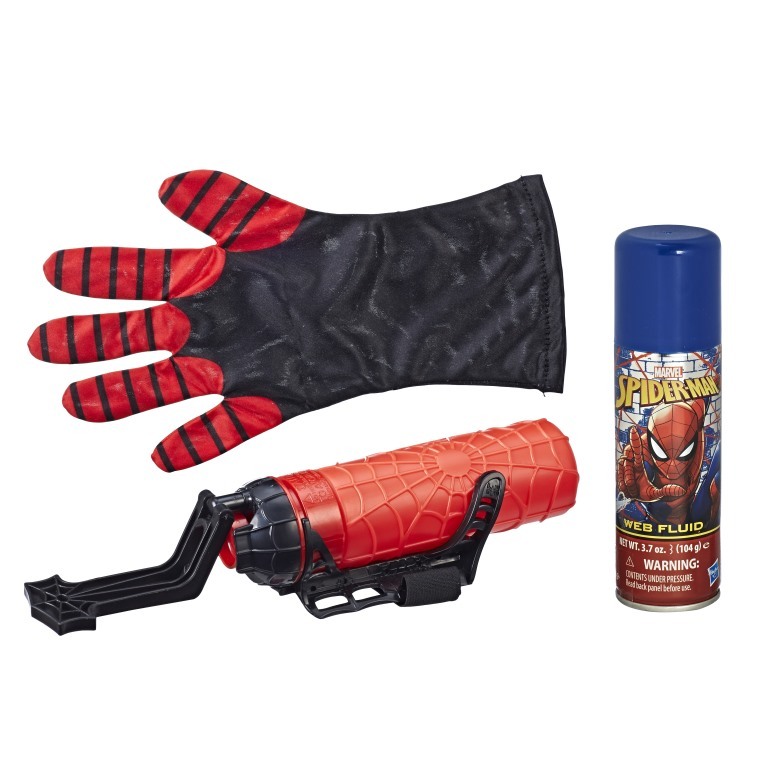 Incudes glove, gauntlet, water canister, and a can of web fluid. 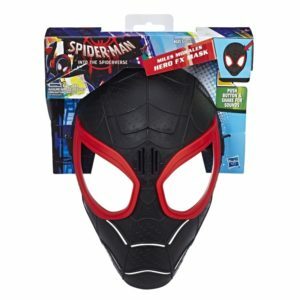 Kids can convert and customize the battle gear using different connector pieces for defense and attack. Features a MILES MORALES gauntlet with connector pieces for multi-modular strike-and-attack modes. 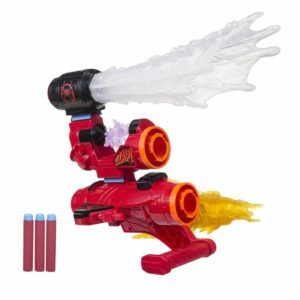 Includes battle gear, 3 connector pieces, and 3 darts. 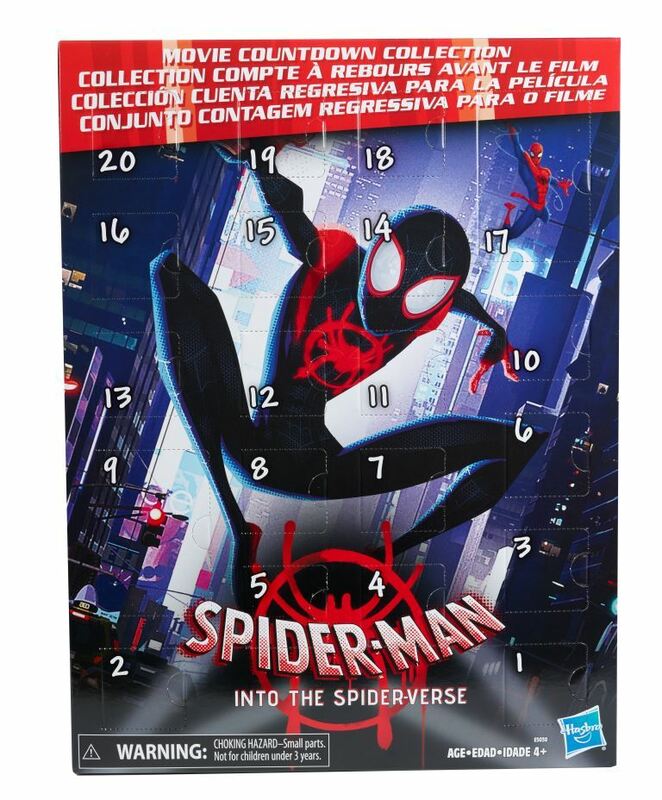 Spider-Man: Into the Spider-Verse hits theaters December 14. Be sure to check out the trailer below!